If you’ve had any doubts of how much positive activity is going in the South Florida real estate market lately, just take a look at Broward County and its rise in mixed-use buildings. A great example of this is the upcoming Metropica. A massive and ambitious retail and residential project spanning over sixty acres, it’s promising to become the epicenter of South Florida and will be located next door to the equally massive Sawgrass Mills, the largest single-story mall in the country. To get an idea of the magnitude of Metropica, it will have over 1,500 residential units located within a series of condominium towers standing anywhere between 25 to 28 stories tall. Amenities include a beach club inspired by South Beach complete with sand, an infinity edge pool spanning more than than 500 feet, a pet “respite”, restaurants, a high end cinema, a hotel, plus much more. 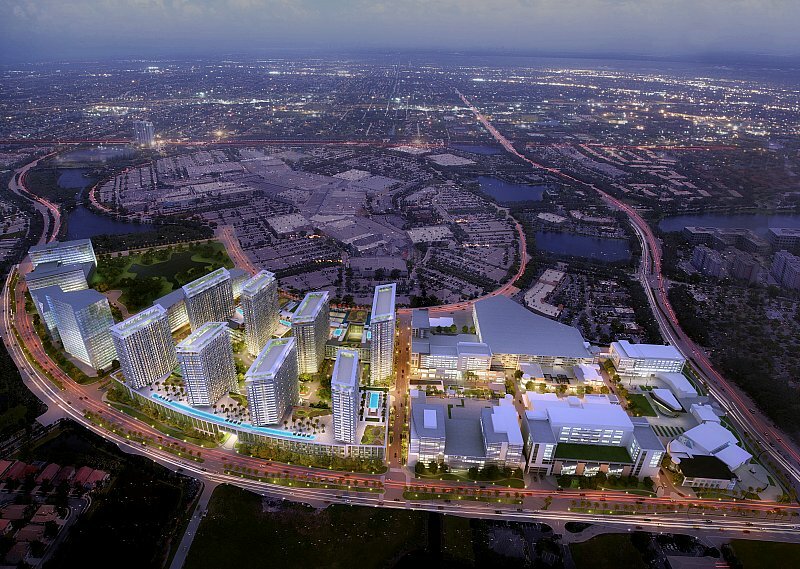 Metropica is already on its way to becoming a reality. The first residential tower—expected to be called YOO at Metropica—broke ground back in October of last year and it will include 345 rental units. With its status as a mixed use project, future Metropica residents could potentially live, work, and play all in the same place.